Acid reflux is a painful and frustrating issue for many people in the Beverly Hills, CA area. 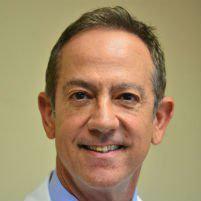 Dr. Moses Fallas is a West Los Angeles general surgeon who offers acid reflux solutions for patients who want the most minimally invasive solution. Acid reflux is a condition caused when stomach acid moves backward into the esophagus (the tube connecting the stomach with the back of the throat). During acid reflux episodes, people often experience a sour taste in their mouth due to partially regurgitated food or stomach acid. There may also be a burning sensation at the back of the throat or in the chest, commonly referred to as heartburn. The treatment for acid reflux depends on the severity of the episodes, and on the patient's specific circumstances. Some patients find at least partial relief through lifestyle changes, prescription medication, or both. However, for many patients, this will not provide enough relief. Acid reflux can also be corrected via a surgical procedure for these patients. How Does Anti-Reflux Surgery Work? For people with serious acid reflux complications, anti-reflux surgery may be the best answer because it provides a long-term solution. The focus of anti-reflux surgery is the repair or replacement of the esophagus valve that controls the flow of stomach acid. This valve is made stronger during the surgery so that it can keep the stomach acid flowing in the right direction. The surgery may be performed as an open surgery, but laparoscopic anti-reflux surgery is the faster and less invasive surgical option. What Is the Preparation Process for Anti-Reflux Surgery? Patients will generally need to start preparing for the surgery one to two days ahead of time. Generally, this preparation involves a clear liquid diet for at least 24 hours prior to the procedure and abstaining from food after midnight on the day before the surgery. Patients will also typically need to perform an enema the day prior to their anti-reflux procedure. There may be patient-specific instructions to accompany these guidelines as well.